Bell Auto Electrical are specialists in all types of repair, maintenance and installation of your car's electrical system. Cars today are often complex, with integrated computers, sensors and management systems, which usually means that a general mechanic is not always the best place to have your car's electrical problem diagnosed and repaired. When you bring your car to us, we use the latest diagnostic tools and equipment to ensure that we work out what is happening very quickly and then advise you of the best course of action. We provide the same great service to all our valued customers, from mechanics and trade customers, Car and Caravan Dealers, to Retail Customers and Auto Enthusiasts. We work on all makes and models for all types of Auto Electric problems, no matter how big or small. Present-day vehicles feature complex integrated systems. 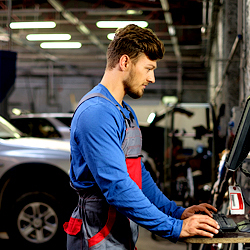 The integrated sensors, management system and the computers cannot be maintained by a general mechanic. Such complex auto electrical systems require specialists who can cater to the auto-electric problems associated with your vehicle. This is exactly what we provide at Bell Auto Electrical. We offer both top quality products. Apart from providing world-class auto products, we also offer proficient services. This ensures that you can enjoy drive after drive, without worrying about your auto mechanics. Furthermore, we believe in offering the same top quality services to all our clients. Right from retail clients to dealers, we offer the same great service to everyone. 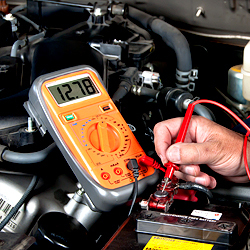 Moreover, we precisely tackle your auto-electric problems, irrespective of their magnitude. When you bring your vehicle to us, we will use latest diagnostic tools for inspection. This helps us in precisely diagnosing the underlying complication. Once we identify the problem, we will work out the best possible solution to fix the problem. Our specialists carry rich experience and are capable of handling installation, repair and maintenance of your vehicle’s auto-electric system. Whether you want to ensure there is proper engine fueling or achieve proper suspension adjustments, we carry out them all. Our experienced team will efficiently service vehicles of different makes and models. Besides, we strongly believe in completing the job correctly in the first time. This eliminates the need for frequent repairs and replacements of your auto parts. Our comprehensive range of products include supercharge battery as well as marine battery. We also offer quality battery across Ivanhoe. Whatever be your auto electric problem, we have an apt solution for you. To know more about our products or services, you can reach us on 0394594155. You can also write to contact@www.bellautoelectrical.com.au. We will ensure that all your queries will be answered. Got questions about all things auto electrical? Ask Dave. Enter via rear laneway off Alfred St.